Language is the mediator's tool of the trade. Thus, we open Part 1 with a metaphor. Metaphors are an essential part of our everyday language and we use them constantly to give physical qualities - which are understood from daily experience - to non-physical things such as ideas. Language is descriptive. It describes events, people, scenes, ideas. Each of these - except ideas - have physical qualities. The event took place physically, at a specific location with specific actors in a specific way. In describing these events our language is clear and generally precise. However, in describing ideas, we have a problem: ideas do not have physical qualities. They do not have a specific location; no specific actors describe an idea. In fact, we do not have a language of ideas. Rather we import the descriptive language of physical things and apply it to ideas we wish to convey. The listener, hopefully, hears our description and translates it into a conceptual understanding. Now you might say to me that this is a shallow idea. You know what you mean by shallow. I will also have some general idea what you mean by shallow. I will be hurt by your rejoinder, but I cannot apply a physical test to determine the accuracy of it. If you tell me that a puddle is shallow, I can put a finger into the puddle and measure it. But, I can't physically measure your definition of shallow idea. Instead, I insert my definition of shallow as applied to the idea. Thus, your definition does not have to be precise to convey your idea. As listener, I will fill in the details. Metaphor are not explanations, "their value is more heuristic than analytical and more useful in the context of discovery than verification". Bernard Weiner, Metaphors in Motivation and Attribution, American Psychologist, Vol. 46, No. 9, 921-930. Sept. 1991. Ideas are conveyed by substituting a physical quality for a shapeless, invisible idea. We use metaphors to do that. Metaphors are generally described as either dead or active. A dead metaphor is one that has been incorporated into the everyday language and is used without thought. Your idea is shallow is an example of a dead metaphor. The active kind are used thoughtfully and are a fresh way to convey an idea. Indeed, "something new is created when a metaphor is understood," in the sense that a metaphor can "create similarities that previously were not known to exist", they "afford different ways of perceiving." Black, M., Models and Metaphors, Ithaca, Cornell U. Press, 1962. The Oxford Unabridged Dictionary defines metaphor as "The figure of speech in which a name or descriptive term is transferred to some object to which it is not properly applicable." This definition is only partly true. The figure of speech can be transferred to ideas as well as objects. Therefore, Webster's New International Dictionary 2nd Ed seems a more suitable definition, "Use of a word or phrase literally denoting one kind of object or idea in place of another by way of suggesting a likeness or analogy between them." Even this definition suggests that an idea is on a par with an object when, in fact, ideas are expressed with metaphors drawn from the physical realm. Ideas are not communicated in and of themselves but through metaphors. Recent linguistic work has changed our understanding of metaphors, particularly the work of George Lakoff and Michael Johnson. They show how metaphors are grounded in the human experience of space, time, and physical objects. (1980) You cannot see, feel, smell or touch an idea. However, we apply our descriptions of these sensory experiences to describe ideas. In their seminal work they define many categories of metaphors. In looking at the word argument, they point out that argument as a container is a commonly used metaphor. "She punched holes in my argument" is one such metaphor - she punched might also be a fight metaphor. But if it is used as a container metaphor she might say, "your argument just does not hold water." To which I could reply, "Of course it doesn't hold water you just punched holes in it." Here you can see the metaphor at work. When she punched holes in my argument, she was really pointing out its weakness and demonstrating that it lacked coherence. I knew what she meant, she knew what she meant. A visitor from space who had a translation computer listening to our conversation might not understand the metaphor she had used to convey her ideas. For his computer would not understand how we humans use metaphors because they are based on descriptions of the human experience. So, in conveying ideas we resort to metaphors which are very useful linguistic tools. In mediation, language is almost all we have to work with. Thus, an understanding of the metaphors we use in every day life is helpful in increasing the positive use of them in ways that enhance the mediation process. It is not a question of whether we use metaphors. The question is, which ones we use. In addition to metaphors which we use to convey ideas, everyone operates under a series of generative (Donald L. Schoen, Generative Metaphors and Social Policy), or what I prefer to call organizing metaphors. These determine our view of the world. For example, some people operate under the metaphor that life is a struggle, others, that life is a game or a competition. These metaphors help us organize our thinking. In addition to the life forming/guiding metaphors we also operate under organizing metaphors for various aspects of our lives. Each major segment of our lives is given an organizing metaphor as a means of self-explanation of how we view and act in a situation. We each have an organizing metaphor we use for conflict. War is the most common metaphor for argument or conflict and people who use it as their organizing metaphor draw from the human experience of war. If we think that argument is war, we will use metaphors drawn from the human experience of war. Lawyers engage in the adversarial process and most commonly use the conflict is war metaphor. They come to the session armed with the facts: the holster is transformed into a briefcase. They are ready to shoot down your argument. Is this why participants in a legal argument are often casualties? There are many injuries and, as with most wars, a victor and a loser, or two losers. An alternative metaphor is that conflict is a journey. We have a destination (goals). We take the first steps towards an agreement. In looking at a problem we say "Well let's see where we go from here." Of course, not all journeys are smooth. We can run into heavy seas or hit a bump in the road. O'Hanlon and Weiner-Davis advise therapists to use the client's metaphors. "Once, after having accomplished a great deal of change a client said, 'Things are much better now, but I anticipate a rocky road in the future.' To this we later responded, 'While we agree that there might be a rocky road up ahead, we are convinced that you now have a four-wheel drive vehicle to handle it." ("Watch Their Language",1989, p. 64) Here the authors repeated the client's metaphor back to her and added another matching metaphor which substituted a four-wheel drive auto for her new problem solving skills. Let us look at the broader lexicon of conflict is war metaphor which is widely used in everyday language - perhaps in our own - and compare it to the journey metaphor. One negotiator relates, "I marshalled my arguments, advising my colleague not to use a particular argument or they'll blow us out of the water." Another might say "I took all of the data to the meeting that was needed to help us see eye to eye on the problem as the first step towards reaching an agreement." The first person (A) used two war metaphors to describe how he feels about the meeting and particularly how he feels about the other (side) participants. The second person (B) used a closeness metaphor and a journey metaphor indicating that he sees the other participants as people he wants to get close to and join in a journey towards an agreement. I was caught in the cross fire between the Dean and the untenured faculty. Whether the actual language is clearly military war or the more genteel vocabulary, the organizing metaphor has the same effect. One of my favorites when working with clients is, "Where are we? You've lost me now." In looking for a temporary agreement I might say, "I'm wondering if we could move for just the next two months in a sense of trying to get a little space for both of you as you think about the issue." (Haynes & Haynes, 1989 p.75) A journey consists of space and time since it takes time to cover the ground (space) of the journey. Later in the same session I asked the couple if they could reach a temporary agreement. "To get you out of the current hole that gives us some time to look at all the issues in more detail in a leisurely way." (p.79) This is a more pleasurable journey, taken leisurely unlike all war metaphors which are tense and active. conflict is a game: "would you like me to mediate your dispute or referee your fight?" conflict is a chemical: If we can't find an immediate solution perhaps the problem will simply dissolve away." conflict is a building: "You're not on firm ground." "Let's see if we can structure an agreement." conflict is a gamble: "I'll take my chances in court. The odds are in my favor." The choice of metaphor has an influence on the behavior of the participants because it sets tone to the negotiations. In this discussion I will focus on the war and journey metaphors. Mediation participants who invoke the war metaphor often also believe that all is fair in love and war. There will be a winner and a loser and the war tactics used to achieve victory are acceptable. On the other hand, participants who invoke the argument-is-a-journey metaphor will take the first steps together; they will share the goal of the journey. When they get lost they will help each other find the way back to the common goal. They will, in fact, have to cooperate to complete the journey. The question we must ask is: Does the choice of metaphor determine the behavior of the participants or does the behavior determine the metaphor? The reason for asking this question is that if the behavior determines the metaphor then the role of the mediator is to influence the behavior of the client. However, if the metaphor determines the behavior, the ability of the mediator to switch participants' metaphors can lead to a change in their behavior. My experience in practice suggests that people use metaphors unconsciously. The metaphor does not necessarily reflect the users desired behavior. When people use a metaphor that is not consonant with their general view of the world, the metaphor can convey a belief that the individual does not hold. It also signals to the listener to expect a behavior that matches the metaphor. Thus, Michael might have a belief system that is best represented by the journey metaphor. However, he is accustomed to using a war metaphor to describe conflict. If the others are influenced by Michael's war metaphor they are likely to respond, defensively, in like kind. Thus, one task for the mediator is to help the clients use the metaphors that most closely express their view of the conflict and/or develop an organizing metaphor that is more conducive to cooperation and productive negotiations. When doing this I believe that indirect messages, such as careful use of alternative metaphors are usually more successful in creating change than direct or confronting messages. I operate under the assumption that my influence is best exercised through metaphors which influence the participant's metaphors. Metaphors are pervasive in our lives. So far in this chapter I have over 20 metaphors that I can identify - excluding those used deliberately to illustrate metaphors. We use them without thinking. I do not believe that people thoughtfully select the metaphors they use. Participants to an argument can switch their metaphors, and their behavior, if the mediator uses her influence to assert a positive metaphor rather than a negative one. The mediator is always in a position of power vis a vis the client. Clients watch the mediator and model their behavior on her in many ways. Part of this power derives from the reality that no matter how hard the mediator stresses her role as a neutral, the participants try to have the mediator make judgments. Of course, they always expect the judgments to be in their favor and against the other participants to the dispute. (1) They are also aware of the mediator's behavior and language and frequently change their own language to match the mediator's in order to "sway" the mediator. A second factor that increases the power of the mediator to influence the client derives from dissonance theory (Cohen 19-- and Festinger, A theory of cognitive dissonance, Stanford UP, 1957). Dissonance theory holds that when a person argues for one idea and believes another, the difference creates dissonance which most individuals resolve by changing either the argument or the belief. A variation of this applies in most group situations. When a person finds himself using a different language or behavior in a group and the group does not adapt to his behavior, the person will change his behavior to conform to the norms of the group. Thus, a person using a war metaphor in a group using a journey metaphor, is likely to change to a journey metaphor. Even though the client may not be attempting to sway the mediator, he will tend to change his metaphor from conflict to journey in order to stay consonant with the mediator. This is even more likely if the mediator and the other party use the journey metaphor. The ideal metaphor for conflict is journey because it downplays competitive behavior and highlights the cooperative aspect of the journey - problem solving. I do not claim that the journey metaphor eliminates all competitiveness. Rather I think it injects an aura of cooperation where little exists and minimizes the aura of war. If (A) is highly competitive using all war metaphors and the mediator maintains a journey metaphor, (A) is likely to shift from the war framework. However, he will still want to finish the journey ahead of the other participant, possibly by modifying the journey to a race. The important point here is that the mediator has shifted (A's) thinking and behavior from a win/lose situation in which (B) is defeated or annihilated to a win/win with (A) finishing slightly ahead. In doing so (A) accepts the idea of both parties crossing the finishing line. In this sense, (A) has shifted from war to a journey and then defined the journey to be a race or a game. In the game metaphor, unlike the war one, both contestants have the same goal - the finishing line. If (A) and (B) engage in the war metaphor and the mediator joins them, she creates a structure in the mediation session that encourages a war approach. The war metaphor encourages high competitiveness, casualties and a victory for one side or, more likely, a loss for both sides. If, however, the mediator maintains a journey metaphor then (A) is likely to switch to maintain consonance with the mediator. If (B) is also using 'war' then as (A) begins to use the journey metaphor, (B) is influenced to use 'journey' and both clients will move slowly towards a more cooperative behavior. If (B) and the mediator are using 'journey' then the pressure on (A) to switch and maintain consonance with the mediator and (B) is even greater. Thus, awareness of metaphors and the conscious use of them by the mediator is an important tool. My analysis of tapes of actual mediation sessions shows that clients do not use many metaphors. Their language is essentially descriptive. They are not engaged in ideas. Rather, they are intent on telling the mediator what the other did, when they did it and how they did it. When the mediator is in the data collection stage, she asks lineal, descriptive questions; when did it happen? who did it? what was the outcome? Later in the process as the mediator helps the participants move towards a shared definition of the problem, she begins to share ideas. Then she uses metaphors more frequently. Metaphors are also mostly used to explain or describe process issues rather than content issues. Let's look at how metaphors work in practice. In the transcript that follows I ask the parties, "what is the smallest step you can take to begin to solve the problem." I do not define what the step should look like, there is no mention of its content. I simply want them to take a step of their choice towards an agreement. You will read how I focus on the journey metaphor to try to help the participants find an agreement. I carefully avoid war metaphors which would only reinforce their entrenched (a metaphor drawn from the World War I wide use of trenches) positions. Allan and Maureen are the parents of a thirteen year old daughter, Mary. They separated ten years ago and are locked into (container metaphor) a battle (war) with Mary as the key weapon. (war) They have been in and out of court over the years fighting (war) over the amount of support, when it should be paid, the amount of access and when it should be exercised. We join the session as they begin to discuss the list. Maureen: You don't use your access Allan. What are you fighting for, you or your parents? Mediator: Well lets say this that at this stage of the game(2) you can only talk for yourselves. If I understand correctly you separated in 1977, ten years ago and you're still locked in(3) this. Allan: Yeah, believe it or not its amazing isn't it. Mediator: In a sense it's a curse(4) on both of you. Allan: Well we've gone back and forth on so many important things. Mediator: Aside from whose problem it is, the reality is to live with this awful situation for 10 years takes a lot of courage(5) to live with it for that long. It might be time now to say you might want to get along(6) with your own lives and not be tied in,(7) particularly if you are remarried and you have another relationship. Maureen: No, I don't right now. Mediator: You don't have another relationship. Mediator: But you want to get on with your own lives and certainly we want to take Mary out of the middle(8) of this one so lets take a look at it piece by piece(9) and see what we've got, alright? We've got a problem now and my sense, Maureen, is that your feeling about Sunday once a month is based on the bottom three (of her list on the board). Mediator: If those three issues got resolved you would probably have a different position around the kind of access if those weren't there, ok. Then we are going to go into(10) the diet first. Tell me a little about the diet, what are the medical issues and for Mary. Maureen: When I was living in California and she was going to school her teacher made us more aware, I've always been aware, that sugar has had an effect on Mary and her teacher made us more aware and suggested that we eliminate it from her diet so we did and it calmed her down in the class and she could carry on with her work better. So when we came back up here I really watched what she ate and tried to feed her as nutritionally as I could. Now, when she would go over to the grandparents she doesn't believe in that and Allan says they keep her on that diet but they don't. They have the fructose in the house, granted, but it's all the other things in different prepared foods that she has problems with. Mediator: So is she what, hyperactive? Mediator: Hyperactive and in a sense that may be related to the sugar in the diet? Maureen: She is very sensitive to feelings too. She picks up(11) on, you know, the uneasiness that goes on. Mediator: She's stuck in the middle(12) she's got to be very sensitive right to read(13) each of you individually. Lets stick for a moment to the diet though. So the sense is that the sugar in the diet may contribute towards the hyperactivity and if you can cut it back(14) then the hyperactivity diminishes. Allan: That's according to what we've heard. That's why we bought a 50 lb bag of special sugar. Maureen: But there's more to it than that Allan, there's more to it. Allan: There's a lot more to it. Allan: A lot more to it isn't there. Maureen: Yes, there is, Allan. Allan: Tell him the truth it's real simple. Maureen: I'm telling the truth Allan. I've Mary with me for so many years you don't know the child and apparently, you know, its too much trouble for you to know what's going on. Mediator: Allan, you've got something what is it. Allan: Like I said, the main thing is what we want is access and these games have been played(15) for years and like you said it would be nice to be finished up long time ago which we were trying to do and then other games(16) involve money and stuff. She could care less what happens to her but I think it's all to do with the money and the money's been paid freely right off the bat(17) except for all the time she takes off. Maureen: Well, he only wanted to pay $1 per month maintenance for his daughter and the money has been an issue. He has been not wanting to pay - he thinks he's paying me. Mediator: Okay, so then we really do have another issue here which is the money issue. Allan: That's the main issue. Mediator: Okay, let me know because otherwise you put the wrong stuff up on the board here. You both also agree that money is an issue. Allan: Money has been paid freely from day one. She wanted two hundred from the court and the court judge said one hundred and fifty. I don't know where the dollar came from and we've been paying one hundred and fifty freely except when she leaves the country and that goes on for months and months at a time and no access. The grandmother, her side, they will not tell us where she is under special instructions. They want the money and then we ask just how she is and they don't even talk to each other. Maureen: They! It's his mother. His mother is constantly the one whose pushing everything(18) it's not Allan, it's his mother. Mediator: It's marvelous; so you think it's his mother and you think it's her mother. Allan: No, no, her mother has nothing to do with that when we tried to get a hold of her mother to find out where Mary was. There was no communication on that side. So we had to wait for the papers to come from the court orders when they get back into town they want money. That's how it works when they get back into town after holidays. Mediator: You're both very angry at each other. Allan: This is all in the past with court orders and stuff. Mediator: It's marvelous how angry(19) you are with each other after ten years. You're really angry about Maureen and you're really angry about Allan. Allan: I'm not angry at all, I just want access. Maureen: I feel really sad. Mediator: Oh come on, be honest. You're both very angry and so you should be if you've been locked into(20) this kind of nonsense for ten years. Allan: Angry at not getting it solved. We were supposed to get it solved years ago and part friends and look after the kids. That's what its all about. Maureen: I would say that if Allan would just be honest about the access. Mediator: That's what Allan can do. Now, what can you do? I'm going to ask the same thing of Allan. Maureen: I don't know, I just don't know what I could do to resolve this. I have let Mary go and be a part of his family without him being there and now it's to the point. Mediator: That's what you've done and it hasn't worked,(23) what can you do to make it work. Maureen: I don't know that's why I'm here. Maureen: 'Cause I really don't know. Allan: Okay, she mentioned she let Mary go to my folks place when I wasn't there. That's right, maybe we should explain why Mary was there in the first place. Mediator: That's Maureen, now tell me about Allan. Allan: Seems to me the grandmother here seems to be the big problem. She wasn't a problem at the beginning. They sort of liked each other and Mary. his mother acted just like 'she's mine' and its still like that. Mediator: Let me tell both of you one interesting observation. Whenever I ask you a question about the future you reply to me about the past and you're very well versed in all the injuries and hurts(25) of the past. The past is behind(26) I cannot change the past, you cannot change the past, right? You can complain about it but you cannot change it. You can change the future if you want to. Now I work with some couples who are so well invested(27) in the past that they have no intentions of changing, in fact they enjoy their own unhappiness. My sense is that you don't enjoy your unhappiness and that you both want to go forward. (28) So let me ask you both again the question, What could you each do to make a first step toward(29) resolving it? What could you add to the resolution(30) as distinct from back there? Allan: Well like I said before, I could care less about the past, like I said, even forget about it, its all paid up(31) and stuff and done like you said if we could get something done in the future and yeah the only thing that we are interested in is getting Mary because I think it's important for her to see both sets of parents and kids and so on like that and grandparents are important too like I said, there shouldn't be too many problems involved here just access and you getting your money and Mary being looked after. I mean, how many schools has she been in the last few months? Maureen: Well, I just feel if we were left to live our life with out interference Mary and I would be ok. When I have had it up to here with his mother dishing out whatever she dishes(33) to Mary and I just put my foot down,(34) Mary's fine she tends to listen. We have a much more relaxed relationship, there isn't confusion in her mind as to who is trying to bring her up. I teach her one thing she goes over and its untaught over there. Mediator: (35) I have a sister who's about a year or so older than I am and when we were kids we would have to go and visit our grandparents. We went to one grandparent and she always cooked bread pudding for us. It was always there. The other grandparent always would look under my sisters skirt to see if she had clean underwear and she would always roll up my short pants to check mine. We hated going over there but the reality was that she was my father's mother and that sometimes things don't work out just the way you want them in terms of grandparents and aunts and uncles but after all you didn't marry aunts and uncles. In a sense you lived together in a sort of common law relationship, and we can't always decide who everybody else is with the picture. (36) We take some baggage with us(37) right? And we have to deal with that in a sense that we can't control all of those things and I'm wondering let me see if I can reverse it now. What's the smallest step that you could ask the other to do, the smallest step that you could ask the other(38) to do to begin to solve the problem just a little thing(39) that you could ask for. Allan: Well seeing you're so worried about the diet and we've so many pages of what she can eat. Maureen: Well you sent them all back, Allan. Allan: Well, we were told to read them and send them back so we'd have it all recorded, remember. Maureen: No I didn't tell you to send them back I told you this. Mediator: Well we're back in the past again(40) it's very. Maureen: This was two weeks ago. Mediator: Your both very adept(41) at that, its remarkable. Allan: So we read what she's supposed to eat and they do have the food and they won't get her that and like that and feed her what she's supposed to get like that or else she comes over with a cold and we haven't seen her for weeks. Maureen: She's had a cold since she knew we were coming back to this town. That's the effect it has on her. When she's with me she's never rarely sick. Mediator: Ok, all right, ok, I am curious, is it that when she is with you both you both set it up(42) so that she's under enormous tension(43)? She doesn't create that tension, you're the ones who can relieve her. You've got a kid who is hyperactive, has those diet issues, and you have a choice now whether you cooperate around those issues or whether you fight about them(44). The reality from what your telling me is that so far you've chosen to fight(45) about them because, in a sense, you enjoy the fighting. Allan: No hardly, I don't even want nothing to do with her. The thing is, all we want to do is see Mary every other weekend and when I'm not there or else when I am there we try to spend one day with her and one day with the grandparents. There's nothing else involved. She's eating the proper food according to the list and the doctors and the thing about the grandmother thing, well she's raised us and we're still here. She baby-sits the other kids and she's ok to look after (he turns to his wife who is about to interrupt) well he's talking to me first. Well if the grandmother is so bad and stuff she's ok to drop her off when they are in town on an hour's notice from Florida pick her up in Seattle and stuff. She's ok to live with her for five or six months but there's all this resentment. Maureen: That was a game. (46) You see his mother has said to Mary 'whatever you want honey you make up your mind' and Mary feels that that's anything. In our relationship (with the mother-in-law) she tells me all the time what to do, what not to do. Mediator: There's a problem. God gave Mary her grandparents not you two. God gave her the grandparents whatever you may think about that. The reality is that they're there and you really can't get between(47) Mary and the grandparents. We can say that there are issues around the diet that we both share. I sense those issues although I have a sense, Allan, that you feel that it is an instrument of control(48) that Maureen uses on you. But if you could put aside that question and figure out how to cooperate around the diet rather than seeing it as part of your struggle(49) seeing that it is something to do for Mary. Maureen: That's why she's on it because I feel she needs to be on something that is stable and if it is too much for him and his family for him to keep her on that sort of diet then she needn't go there because it's too unbalanced(50) for her. One day she can have his mother phoning me that she's stealing cookies. (Maureen turns towards Allan) because you let her have them sometimes. She's little, she can't understand why one day its ok and the next day I don't want you to. My theory is no and you stick to it and then it becomes a way of life. Mediator: So grandmother at times is concerned about those issues. Maureen: Only when Mary is doing something that she doesn't feel is right. Mediator: And that works very well. Mediator: And that has to work well in my house but when Mary is in someone else's house she has a different set of rules. Mediator: Just like I used to get bread pudding at one grandmother and my underwear looked at, at the other, different sets of rules. Maureen: How many times did you visit, you see this is. Mediator: One weekend we were with one grandmother and the other weekend the other grandmother, walked three and one half miles each way on our Sunday morning visit, and back. Maureen: You see Mary has her own room at nana's. In general the mediator uses the journey metaphor to describe the future and solutions. By its nature, the journey is future oriented. On the other hand the war metaphor is used to describe the past and the problem. A future solution is more attractive to the listener than a past problem. I would not want to argue that the mediator should never use the war metaphor. It is often useful for the mediator to adopt the participants' language to explain to them the cost of their behavior. Thus, I might pick up the 'war' to point out where the battlefield is and who is on the battlefield. The children in a divorce case, the neighbors in a landlord-tenant dispute, customer good will in a commercial dispute. Obviously the closer the relationship of the people the mediator identifies as being on the battlefield the more powerful is the metaphor. A mediator in Albuquerque, New Mexico, shared an interesting use of the war metaphor with me. A couple she was seeing was locked in a custody battle over their son. The father, a pacifist, opposed military games and toys and forbade them in his house. The mother did not have strong feelings about the issue and permitted toy guns and war games in her house. The husband sought sole custody on the grounds of these differences and came to mediation armed with photographs of the 'war' items he claimed were at the mother's house. The mediator shared an observation that he was at war with war, with the son as the battlefield. In this case the war metaphor was useful since it allowed the mediator to help the father understand what he was dong. Used in this way, the mediator's statement successfully challenged the incongruency of the father's pacifism and his custody war. In another case I used a war metaphor to help the participants understand the movement they were taking towards an agreement. Norman and Terri were in dispute over the residency of their daughter and in high conflict. At one point the husband made a proposed an idea which could have broken the logjam. I reframed the proposal to the wife by first describing his proposal and adding, "And you, (Norman) would be willing to give up Susan going to school in your school system, if you could both agree to a mutually acceptable third school system?" The phrase give up means surrender or retreat in the war metaphor. In this case I wanted the wife to hear that Norman was making a concession. The reframe emphasized the concession in the context of the war metaphor. In a divorce case parents often shift a position if they realize that the battlefield is the family and the children are casualties of the war. In a landlord tenant case it is less likely that a tenant will be as strongly influenced by what other tenants think unless he is a long term resident with plans to stay there and continue interacting with the other tenants. In commercial disputes business people often realize that winning the battle means losing the war and are often willing not to win the battle in order not to lose the war and therefore customer or supplier good will. Some metaphors contain within them the collective wisdom of society, summing up a complex idea in a few words. My favorite is "It takes two to tango." Whenever a couple are in an argument and one is blaming the other for everything that went wrong, I respond by simply stating, "It takes two to tango." I have never had a client deny the validity of that statement and, in accepting it, accept a share of the responsibility for the predicament that brought them to mediation. If I had tried to convince the client that s/he was responsible for part of the problem, they could both deny it and become angry with me. Yet, by stating an axiomatic metaphor, the collective truism convinces the person they had indeed played a role in the problem. The value of it takes two to tango is that it suggests a different perspective but dos not quantify the degree of change. When I say it takes two to tango I imply that each has a share in creating the dispute but I do not suggest how the share is to be apportioned. Clients hear the metaphor and agree with the principle while assigning their own values to it. Richards suggests that "the vagueness which is so useful is caused by the tension between the topic and the vehicle. The Philosophy of Rhetoric, OUP, 1936. The listener hears the dance statement (the vehicle) but is able to understand the topic (conflict is the product of two people). Thus, one client may agree and accept responsibility for only 5% of the problem while the other accepts responsibility for 40%. The hearer, fills in the numbers having made the shift from blaming the other for total responsibility for the dispute to accepting some responsibility. Once the principle has been established, the terms of the dispute change. Even if the client only accepts responsibility for 1% of the dispute, this represents a shift from no responsibility and the chance of further movement is enhanced. A German metaphor, You both lost feathers, is a rural metaphor about life in the farm yard, which like two to tango, reminds the participants that both were part of the squabble. It is useful because it takes the parties a small step from the battle metaphor and translates it to two chickens in a squabble which they both lose. The value of most metaphors is that the speaker sends a message containing a principle; the listener accepts the principle and fills in the details from their own experience. The shift in principle requires all three parties to understand the common knowledge that each participant to a dispute has some role in creating the dispute. Thus, we can also say that many metaphors contain a collective wisdom to which we all subscribe. Only the hearer applies the specific quantity, depth or scope of their situation to the collective wisdom. As Billings points out, "This process stimulates the listener's imagination without directly challenging an existing point of view. On one level, the listener focuses on an unfolding drama; on another, a conceptual shift opens the path for new ideas." Therapeutic Use of Metaphors, Issues in Mental Health Nursing, 12:1-8, 1991. Footnotes are located on a separate page if you are printing the article you may wish to print this page also. John Haynes passed away in December 1999. The founding president of the AFM, he authored three books. His book, The Fundamentals of Family Mediation, has been published in eight different countries in five languages. He trained over 20,000 professionals in twenty countries. 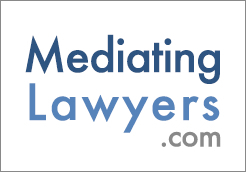 "I want to thank you and everyone at Mediate.com for offering the services you provide at such a reasonable rate."